Yesterday, Elon Musk tweeted—with apparently no warning to anyone—that he was considering taking Tesla private at $420 a share. Minutes ago, Dow Jones reported that the Securities and Exchange Commission was looking into that tweet, and also whether Musk’s statement was truthful. The SEC has also asked why Musk took to Twitter to make the announcement, according to Dow Jones. According to the SEC’s own rules, companies are allowed to use social media to give “key information,” but only if investors are told which accounts that information will be coming from. Under U.S. law, companies and corporate officers can be held liable for making misstatements or omitting information that shareholders need to make informed investment decisions. Mr. Musk could be in trouble if regulators develop evidence that he made a statement only intending to goose his company’s share price. 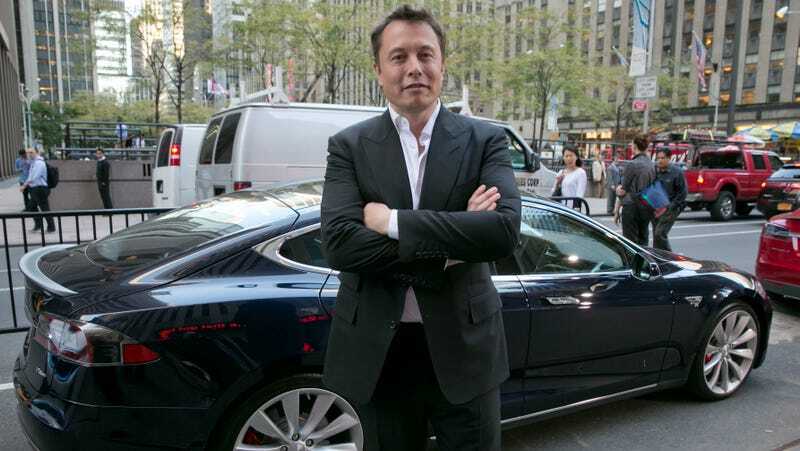 Tesla’s stock soared after Musk’s tweet and, today, has held steady at around $370 per share. The SEC declined to comment in a message to Jalopnik. Tesla did not immediately respond to a request for comment. Did Elon Mess Up Real Bad With His Take-Private Twitter Proposal?